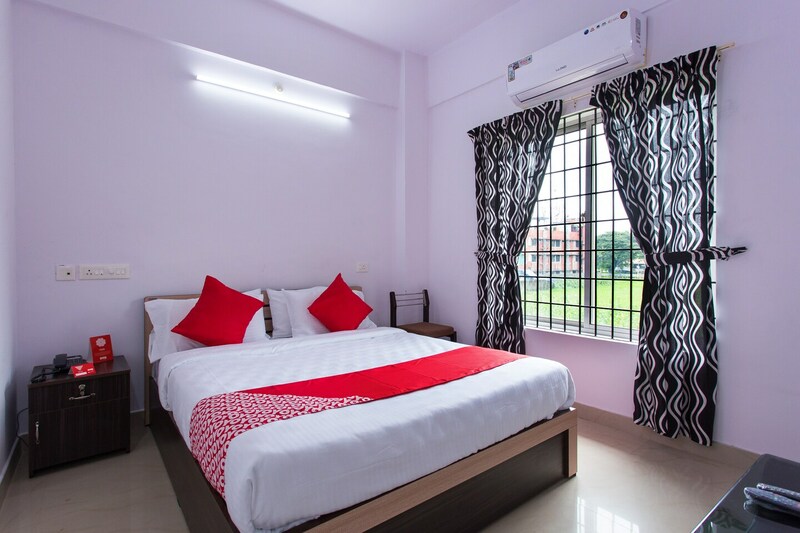 The Reem Residency is a popular choice among travelers visiting Kochi within limited means. The rooms provided here bring the guests closer to nature. The rooms have been painted in earthy hues and have large windows which allow a lot of fresh air and sunlight to enter the room. The rooms are quite spacious and are well-furnished. The additional features provided by the hotel are free Wi-Fi, an uninterrupted power backup source, parking provisions, and CCTV cameras. There is a common lounge and common dining area where guests can relax and rejuvenate themselves after a long day at work. The reception also has been decorated very beautifully and is a welcome sight for the tired guests.